For over two years, the iconic Plaza Guadalupe was fenced off from the community. Once a vibrant space for neighborhood events, concerns about crime motivated the installation of a chain-link enclosure without City approval in 2016. The plaza is currently open to public and available to rent, but programming is limited. Still, the space holds a cultural significance to the West side of San Antonio with potential for growth as a community space. 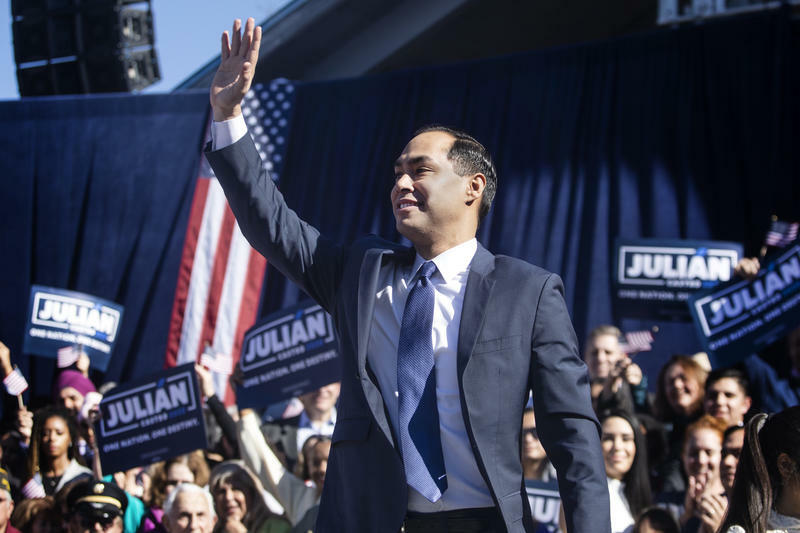 Presidential hopeful Julian Castro recently launched his campaign from Guadalupe Plaza, close to the former San Antonio mayor's beginnings. The City of San Antonio has conducted public input meetings to develop a vision for the space's future. How can residents activate and revive Guadalupe Plaza and the surrounding area? What would a redesign look like? For one day each year, the borders are erased between Lajitas and Paso Lajitas, Mexico (0:15). A recent graduate from the University of Texas at San Antonio shares her story of moving to San Antonio to escape war-torn Syria (6:55). We go on a tour of San Antonio’s Westside. It’s one of the poorest parts of San Antonio, but it’s rich in culture (11:30). City Council is considering more protections for the views and vistas surrounding historic places, landmarks and cultural resources in San Antonio.